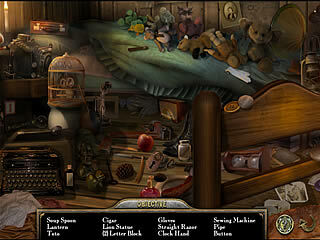 Passing through a number of puzzles and hidden-object scenes you meet Dorothy first, and then save Scarecrow, Tin Man, and Cowardly Lion. As soon as your team is gathered, you may use the skills of your mates to manage different tasks. Thanks to the Lion you can jump over gaps, while the Tin Man will chop fallen wood that blocks your path, and the name of the Scarecrow prompts you what he will help you with. Yes, there will be some crows as well on your way. At the same time Vile will not give you a chance to relax by abducting somebody from your team. So in order to progress return and try to hinder your progress you’ll need to succeed in little side-missions of rescuing friends first. Some of your team mates will be kidnapped by Victor Vile making you some side-missions to complete. Someone can say that in Fiction Fixers: The Curse of Oz the developers didn’t fully exploit the greatest potential of the book, but you must agree that it is always hard to outbid the original especially when there were many volunteers to do that before. Maybe the gameplay is nothing extraordinary, but it is elaborated in a good way. trust me. You’ll visit a lot of locations starting with Dorothy’s home (both fefore and after the turnado) up to the Emerald City and beyond., interacting with lots of cute characters. 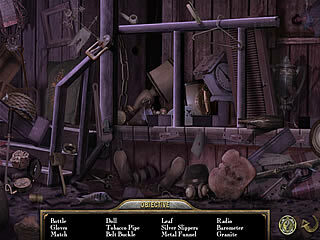 All the tools you might need will be found through the hidden object scenes (all the items should be searched for according to the list). 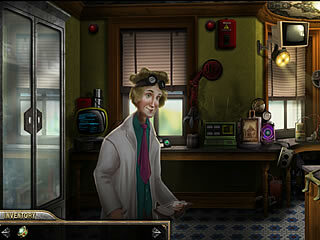 Another advantage of the game is that the user interface was improved comparing to the predecessor. Finally you do not longer need to hover over a tab that is at the bottom of your screen just to see what kind of inventory is available. Though you still have the map that is needed to identify your current location and the places you’ve already completed, it doesn’t prevent you from backtracking. On the other hand this increases the total time of playing. So if you enjoy the hidden-object scenes – why not to do them again, especially when you’re given a fresh list there? The hints and skipping the puzzles are at your dispose as usual. The biggest value of the game as I believe it is the gorgeous graphics along with the pleasant overvoicing. This makes the game being a nice option for the parents who want to spend some time with their kids devoting it not only to reading a nice novel but also to have some fun together. In general, the Fiction Fixers: The Curse of Oz is a great alternative to the typical storylines of lost relatives under the mysterious circumstances. If you’re already tired of the gloomy atmosphere of such games, the Fiction Fixers: The Curse of Oz will bring you some lighthearted mood to your casual life. This is Fiction Fixers: The Curse of Oz review. Download this game here.